The state plan is to modernize cities. But when we face the history, we are very saddened that the PRC has destroyed the Henan ancient relics. In 2006, I went to Henan to visit my father's hometown, and left 1000 Yuan at Xiang Yan (Fragrance Cliff) Temple to inscribe my father's name on a slab of stone. Xiang Yan Temple is where the Tang Dynasty's national master Hui Zhong from Nanyang led the rituals. This is one of the four big temple sites in China Proper. In 1928, Nanyang Xiang Yan Temple proposed to the Nationalist government to keep the ancient site and they were granted status. In 1996, Korea Central Daily vice chief travelled to Xiang Yan Temple to research the national master and other masters between the end of Mongol and early Ming Dynasty. This was in the attempt to search for Lin Ji Buddhism branch roots. In September, 2000, 19 people from Japan Lin Ji branch temple made the pilgrimage to Xiang Yan temple to search for their roots. The Japanese leader said that within Japan Buddhist society, Xiang Yan temple exerted great influence and that we respect Tang Dynasty national master Hui Zhong. In 2002, Xiang Yen temple tour business was given to a Beijing company. There was a big fire that burned down the front door. There is a plaque at the Tang emperor Xuan Zong's palace east wing that disappeared. 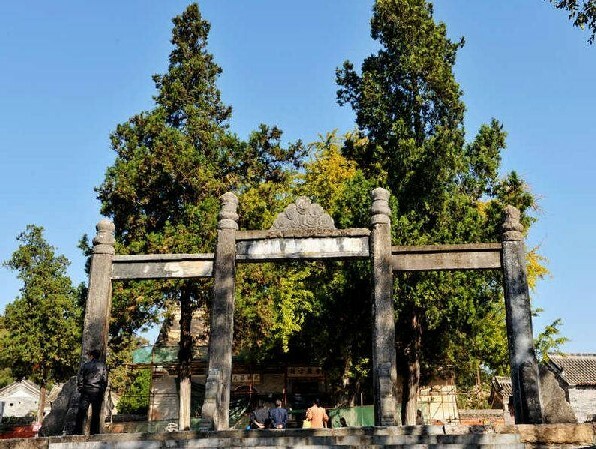 In 2003, Xi Chuan county government contracted out Xiang Yan Temple to a private company in Zheng Zhou. They only took in profits from selling tickets but never did maintenance. From 2003 to 2006, within only a few years, all the Soong dynasty sweet-scented osmanthus trees died. The 10 king structures totally collapsed. The wall paintings which are national treasures also were washed by the rain without care. We urge the new government in China to appropriate funds to restore and preserve ancient cultural sites.